This gold guide will show you how to clean, polish and maintain your solid gold jewelry. 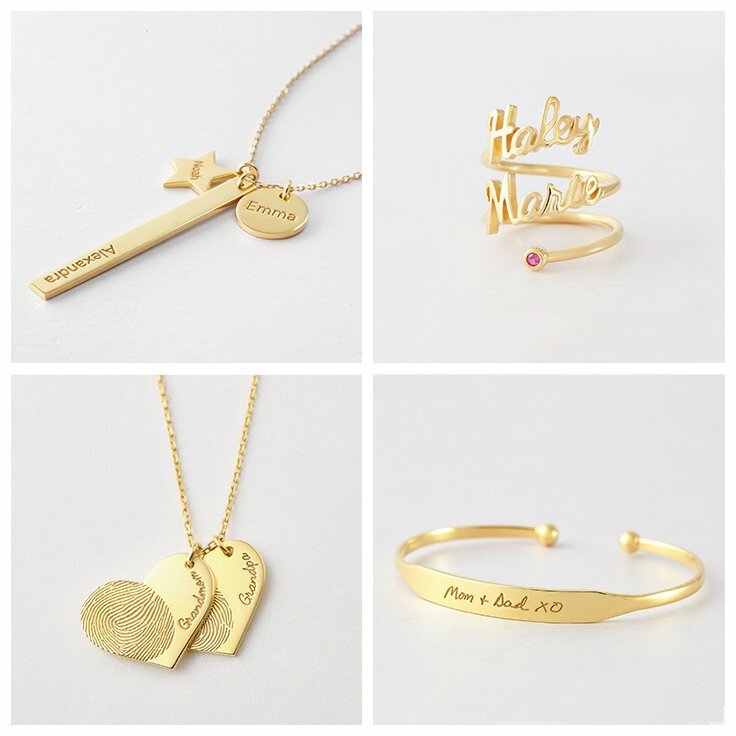 For gold plated jewelry, please check out our “How to maintain gold-plated jewelry” guide. >> What is the difference between solid gold and gold plated? As solid gold of high grade does not tarnish or react easily with water or chemicals, you can clean it as often as you’d like. In fact, it is recommended that you clean regularly worn items like gold rings or engagement rings at least once every two weeks. 1. In a large bowl, add 2 parts dish soap and 10 parts warm water. Soak the jewelry for 15 minutes. 2. 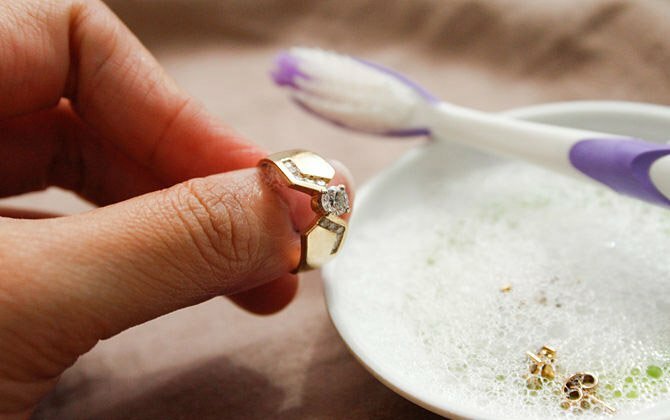 After all the dirt is softened up, scrub the jewelry lightly with a soft, clean toothbrush. You can do the same to jewelry with diamonds. 3. Rinse it from all angles under warm water. Without rubbing, dry thoroughly with a soft cloth with microfiber. Do not use paper towel as the rough texture could scratch the jewelry. >> Why does my skin turn green from jewelry? Does gold turn green? 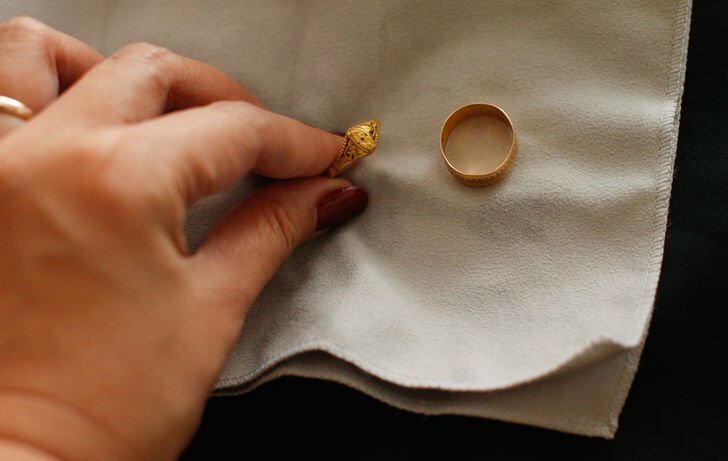 You can polish gold ring, bracelet and necklace at home using a jewelry polishing cloth. The cloth can be easily bought from any jeweler or large retail stores. Sending the gold jewelry to jewelers for professional polishing is another option. That said, bear in mind you shouldn’t polish gold too regularly. 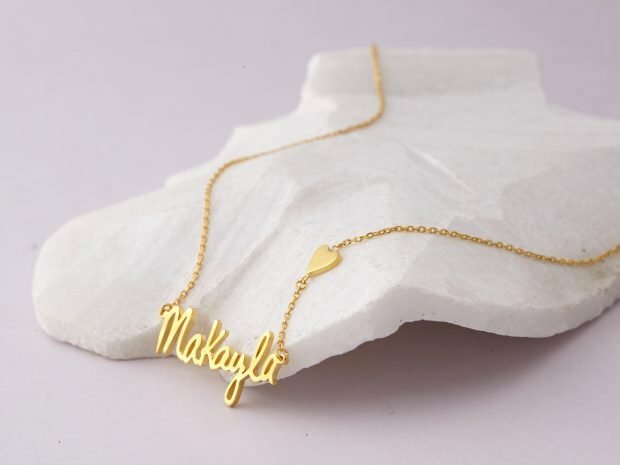 Polishing gold jewelry is basically removing a very thin surface layer off your gold pieces using a lightly abrasive materials. Extensive polishing will thus wear your rings down very fast. Can you shower with gold? You really shouldn’t, and neither should you wear them swimming. What happens when you put gold in water is that the chlorine and other chemicals in different soaps and pool water can change the colors of your gold. Similarly, don’t wear your gold doing houseworks as bleach and detergents can damage your jewelry. Remember that gold, especially high grade one, is a soft metal and can scratch easily. Avoid contact with abrasive surface like sands or wearing them when doing sports. Ideally you should bring your gold pieces to a jeweler annually to see if anything has gotten lose and you might stand the risk of losing a necklace or dropping the diamond from your ring. While you are there, ask for a polishing and buff to return the shine to your jewelry. 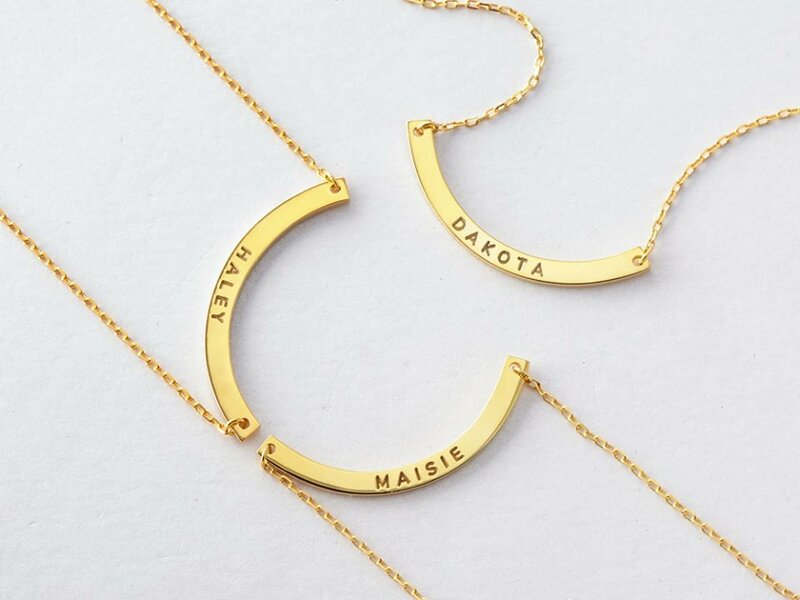 This rules apply to all jewelry, not just your gold: Jewelry should be the last thing you put on in the morning and the first thing you take off at night. That way, your jewelry will have minimal contact with perfume or cream that can tarnish it. After you take them off, wrap each one up in soft cloth and store in separate zipped bags if you do not plan to wear them in a while, or in velvet lined individual tray in your jewelry box. This will prevent scratches and tangles. Did you enjoy my blog series on gold? If you are buying gold jewelry and have any other question, just leave a comment below and I’ll be happy to answer them.